Star Trek V Scotty Flashlight Scotty Starfleet-issue flashlight from 1989, complete with applied detail and metal Starfleet ID badge. 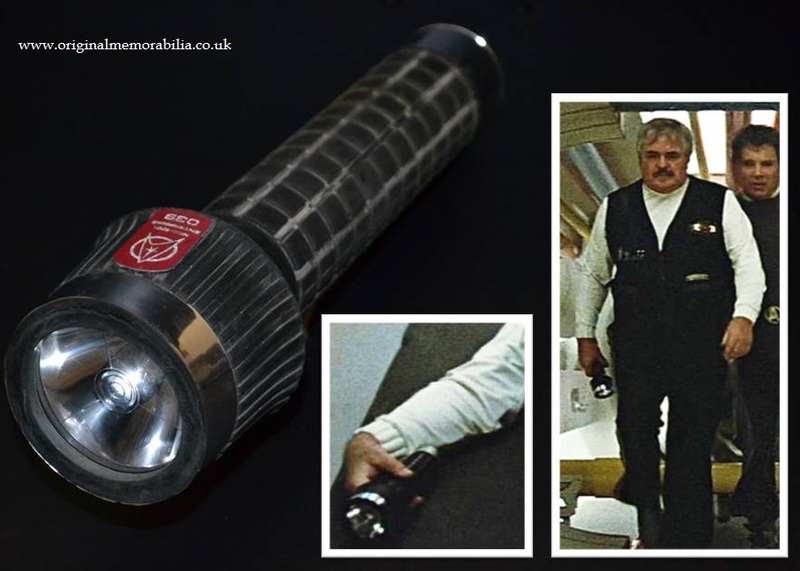 Scotty Starfleet-issue flashlight from 1989, complete with applied detail and metal Starfleet ID badge. A number of scenes in Star Trek V featured Scotty, the irascible ship's engineer, making his way through various parts of the damaged Enterprise. 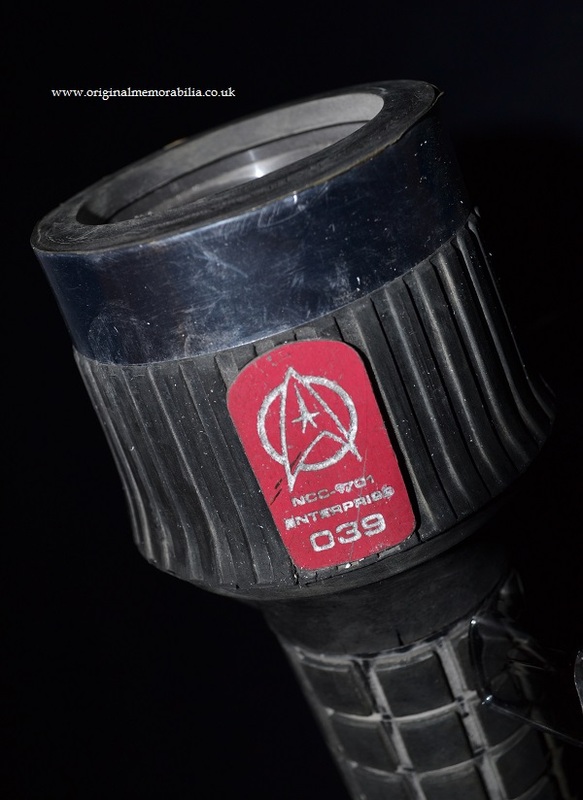 In his hand was a Starfleet-issue flashlight, complete with applied detail and metal Starfleet ID badge. 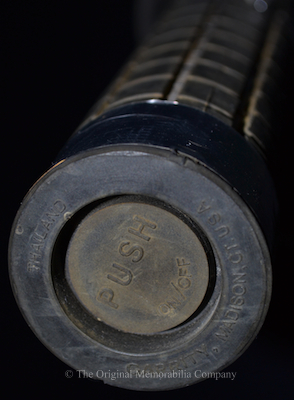 Scotty props do not come to market very often making this piece a real rarity and wonderful addition to any collection. Approx size 11" x 2.75"
Shows some wear but is in overall good condition for age. 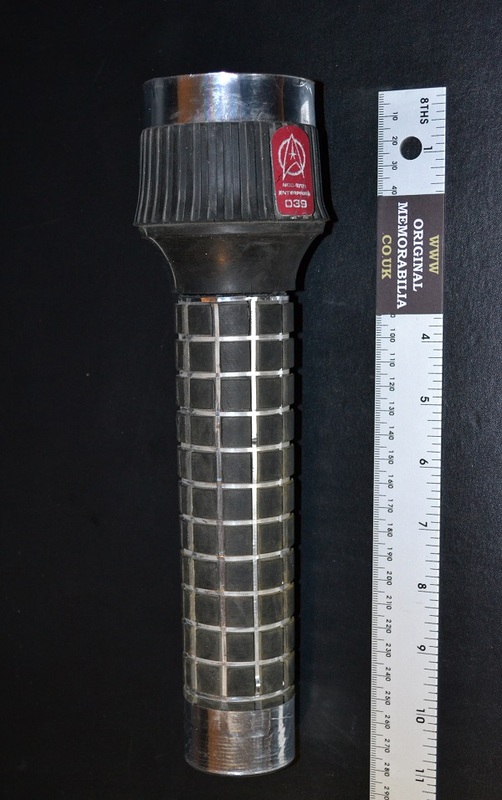 1) This flashlight and all the items in this collection were originally obtained from a named Star Trek prop master with written provenance held on our files. Full details will be included in your certificate of authenticity.